So, the thing about The Spacelords that you really need to know is this: The band, consisting of Hazi (guitars/effects), Klaus (Bass/effects/synths) and Marcus (drums), plays the kind of tripped-out, contemporary spacerock that Germany is quite rapidly gaining a reputation for being the ultimate masters of. Not surprisingly, Marcus also plays drums in the space-rock institution that is Electric Moon. 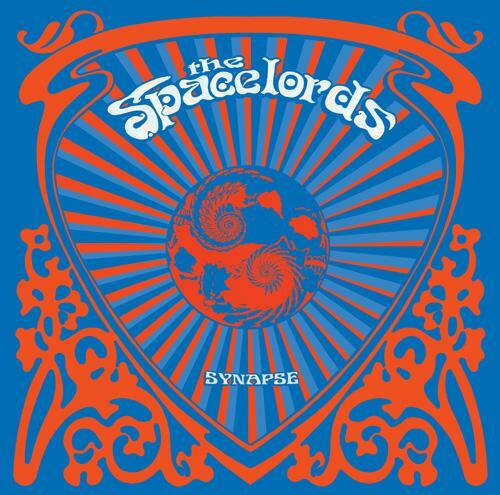 So far, “Synapse” included, The Spacelords have released four albums (3 studio + 1 live) – this being the first one I’ve ever listened to, so I might actually need to backtrack after this. Clocking in at just about 40 minutes, 4 tracks strong, “Synapse” can best be described as a proper, lengthy spacerock album following the finest of traditions. 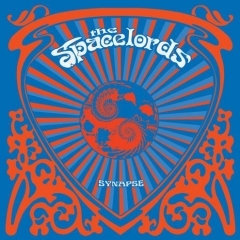 Opening with the title track, The Spacelords immediately come off as having studied at the altar of Hawkwind. Quite noticeably, the track sounds like a warped rendition of “Assault & Battery” tinged with that unmistakably ‘German-sounding’ spacerock tradition of freak-outs that probably stem from the very earliest days of kraut rock – think Amon Düül II or Can for proper references. It’s an interesting track to say the least, but I feel like the album, at this point, has yet to show me how it differs from other contemporary releases. With “Pyroclastic Monster” The Spacelords manage to do just that. 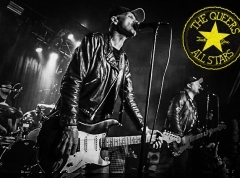 As the final trek of this spaced-out journey, it takes on a somewhat acid-rock sounding approach to the guitar-licks whilst the rhythm section just grooves away in a steady, rocking flow. Eventually though, the track transcends this soundscape and soars into a space-prog reminiscent, almost symphonically epic soundscape that constantly borders on the cosmically beautiful and the more earthbound heaviness. The sporadic spoken-word passages really spice up the track, underlining that there might indeed be something of a sonic advantage to be gained by adding these on a more frequent basis than the sporadically chosen snippets here and there. I think it would further the soundscape quite a bit, actually. Anyway, here we are at the album’s end – for something like the 8th time. My conclusion must be that The Spacelords are on to something, at least. “Synapse” is still quite a swing and miss affair here and there, but generally it is a wonderful sonic trek. They’re not quite Electric Moon, nor are they Hawkwind or the like. They are, however, on their way to becoming something truly interesting by themselves, I reckon. I’ll be back for more, next time they release something, but until then this album might just hit the stereo a few times more. It’s worth a revisit, although it has its kinks here and there.